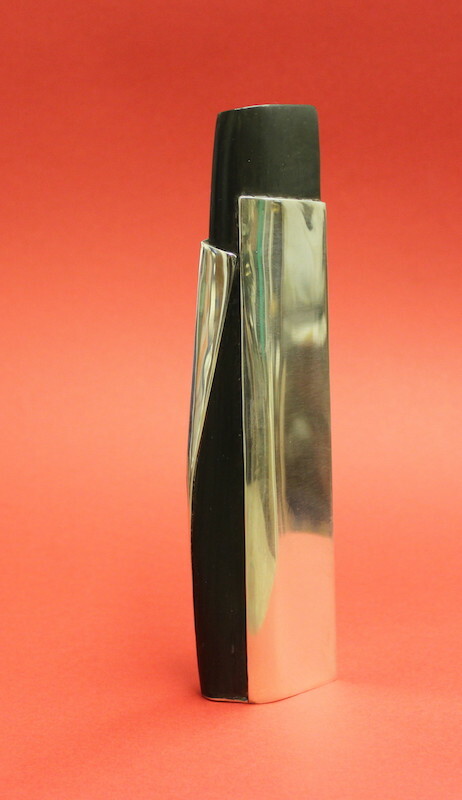 I view all my work as sculpture, be it lettercutting, silver work, carving, modeling, construction or land forming. It may be abstract or figurative. 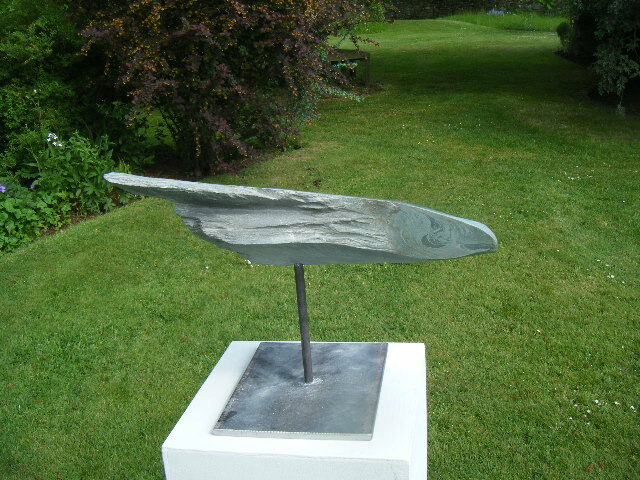 My carving is currently in slate, elm or yew. Modeling is done in clay from which I create moulds for casting small editions. Larger works tend to be made in plaster and subsequently cast. 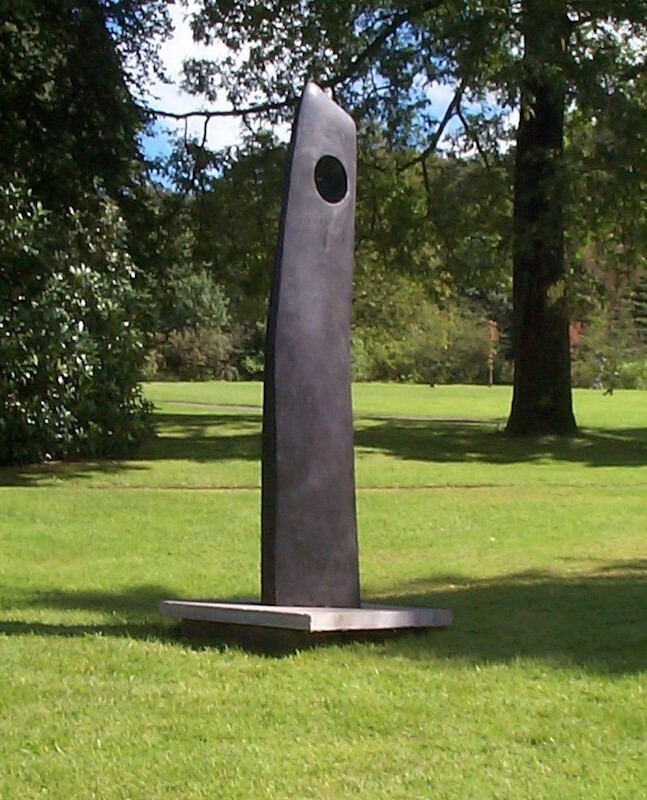 A few sculptures may be constructed from fiberglass or metal. 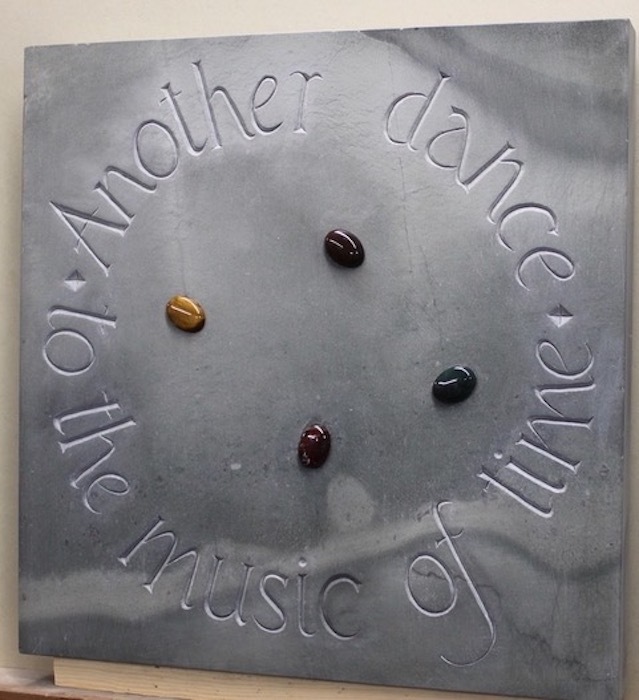 Most of my lettercutting is on stone, often local Cumbrian slate that can have interesting greenish markings. 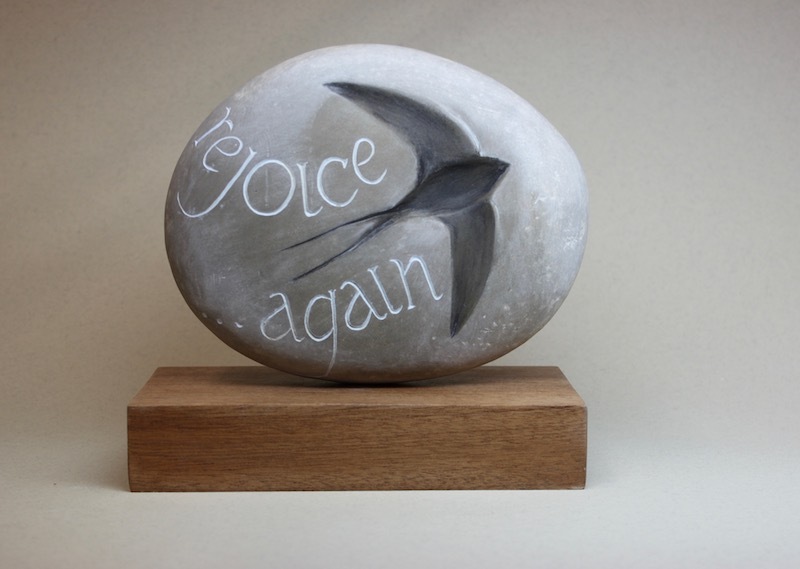 Recently I have been using cobbles and these lend themselves to celebration pieces for weddings or other important events when the lettering is often wrapped around the stone. 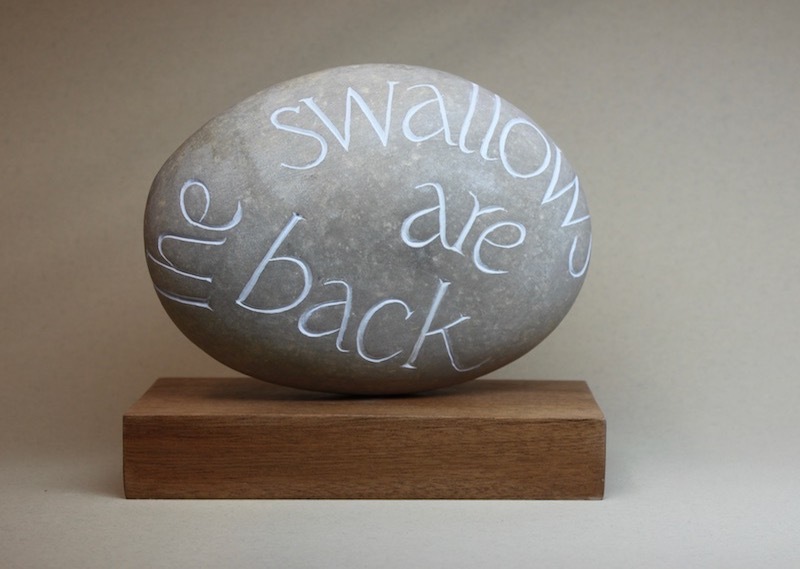 The design of the lettering is carefully worked out for each piece taking into account the text, the stone and the location of the finished work. To view a gallery of James’ lettercutting work. 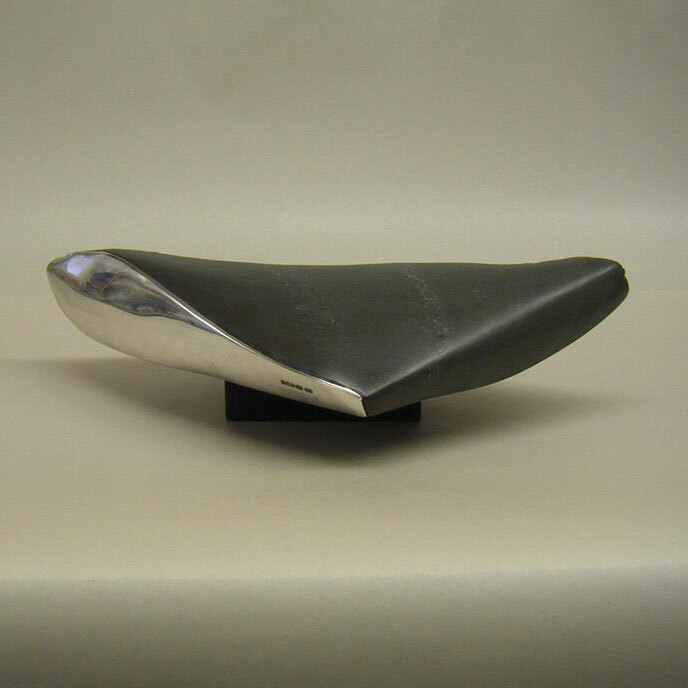 Silver is an interesting medium for sculpture because of its reflective and tactile qualities . 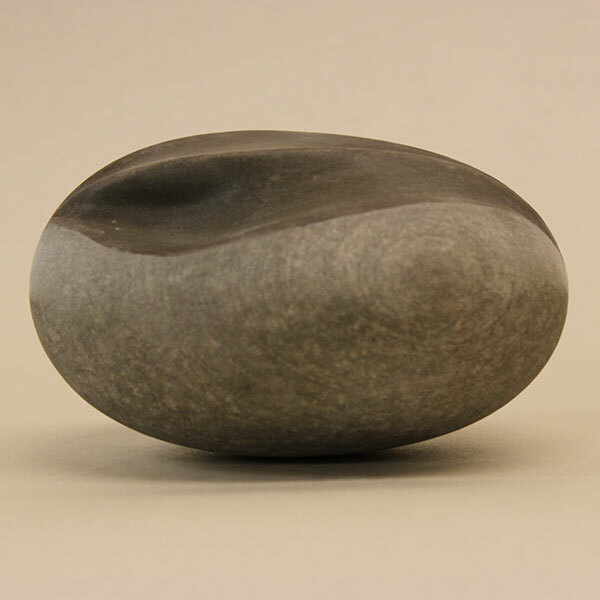 It is easily worked so that I can create a range of elegant sculptural forms. 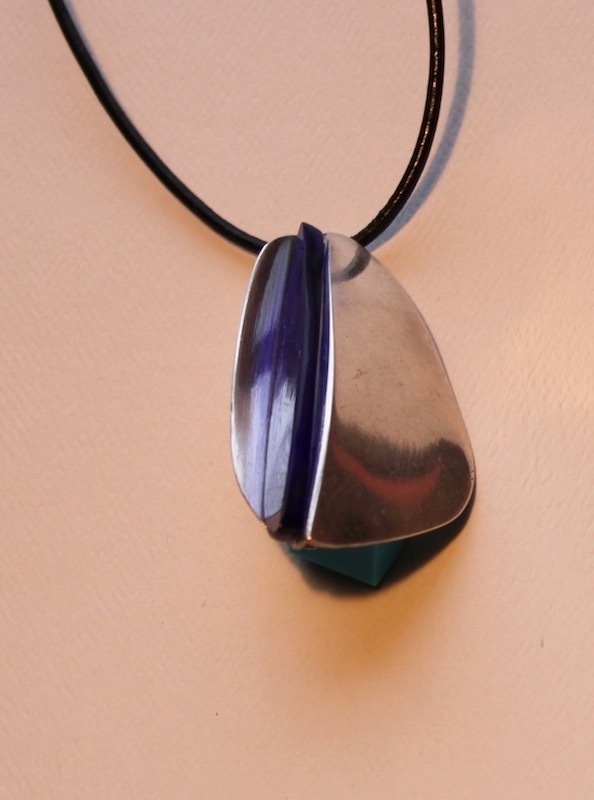 Often I combine silver with stone, wood or even resin. I make some jewelry – really small wearable sculptures – and, to keep my hand in, I design and make some domestic silverware.